The owner of this 25,000 sq.ft. 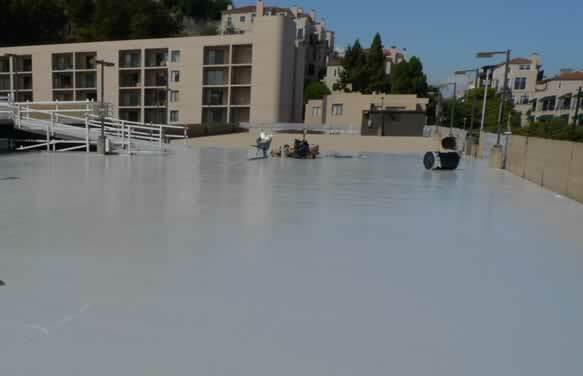 parking garage was looking for a contractor to remove all of the existing coatings, prepare the surface, and apply a new coating system. Mechanically remove all existing coatings down to concrete using mechanical means. Apply the Sonneborne Sonnoguard elastomeric deck coating system to manufacturers specifications. Re-apply line striping per owners needs.